The Provisional Council (PC), the highest governing body of Eurocontrol, decided on 11.01.2005 to extend the transitory regulation for the introduction of the Mode S Elementary Surveillance (ELS) until March 2007. 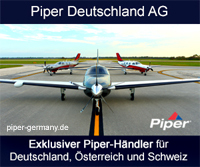 The DFS ( Deutsche Flugsicherung GmbH) reported this last year in their Newsletter and will publish the decision in the next AIRAC on 17.02.2005. It is being stressed that the above decision to extend the regulation is exclusively for the benefit of those aviators who are having problems upgrading their equipment on time. The extension must not be regarded as an opportunity to delay the upgrading to Mode S ELS Transponder. There will be no further exceptions to the rules beyond this. Please contact us if you have any queries.